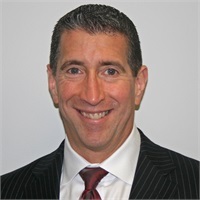 Scott Edelman | Edelman Wealth Management Group, Inc.
Edelman is the founder of Edelman Wealth Management Group, Inc. and manages all aspects of wealth management and employee benefits. He provides products and services for investment management and estate conservation for his clientele of individuals, families, retirees and businesses. He has a strong commitment to giving quality advice and service and puts an emphasis on creating lasting relationships. He regards each client as a friend. Edelman is a qualifying and life member of Million Dollar Round Table, where he is on the advisory board and holds Top of the Table status. He also serves as MDRT´s State Chair of Pennsylvania. In addition, he is a member of the National Association of Insurance and Financial Advisors and has won multiple industry awards for 19 consecutive years. Edelman is a member of the Bucks County Estate Planning Council. He has consistently achieved ACE Platinum Level with Signator Investors, Inc. Edelman has appeared in numerous industry publications including Money magazine. He most recently was recognized as a Five Star Wealth Manager in Philadelphia magazine for the second consecutive year. Under his leadership, the firm has been a finalist for Practice of the Year for three consecutive years. A natural teacher and mentor, Edelman participates in Strategic Coach, an entrepreneurial business coaching program. He is a regular speaker at conferences, business meetings and other engagements. Edelman is active in the community and is on several boards. Active in a number of charities, Edelman Wealth Management is also committed to developing charitable plan giving plans.